In Togo, as extreme poverty intensifies in rural areas, deforestation increases. It is currently estimated that 15,000 hectares of forest per year are destroyed. Protected ecosystems, which accounted for 14.2 percent of land in Togo in 1992, decreased to 7.1 percent by 2005. 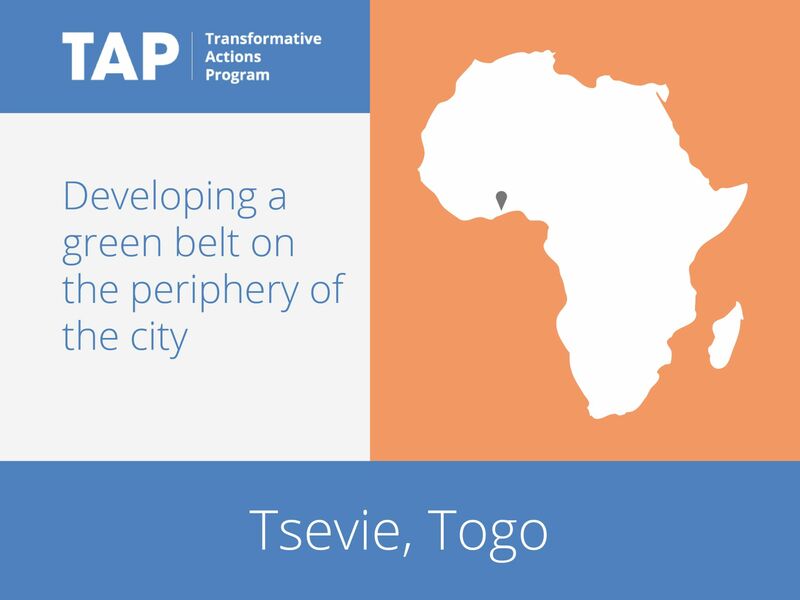 In response to this issue, Tsévié is creating a green belt on the periphery of the city. The project is motivated by the importance of trees in improving the local climate, reducing the emission of greenhouse gases, screening sound and reducing soil erosion. In addition to the green belt, the city will plant trees on city streets and will create public parks.